OK, so we are not actually going to review a particular product but rather have an open discussion about finding the perfect marriage of shoe to runner. Below is my collection of running shoes I've built over the last two years. Can you spot the trend? If after reading an article on pronation or visiting a local reputable running shoe company and asking them to analyze your gait you should analyze your existing shoes for evidence to confirm your understanding. A great article on this technique also happens to be published on the RW website called "Whats your wear pattern'. the toe is worn out on sprinting shoes, outside toes on trail shoes. I'm clearly more of an underpronater in that I hit on the outside of the shoe near heel (heel to mid striker) and don't roll much and tend to take off with my pinkie toes. You can't see my feet but I also have high arches. For underpronators, a shoe that is more cushioned and flexible to absorb the lack of rotation would help me. More detail here. Now let's assume you found a shoe type that supports how you run. 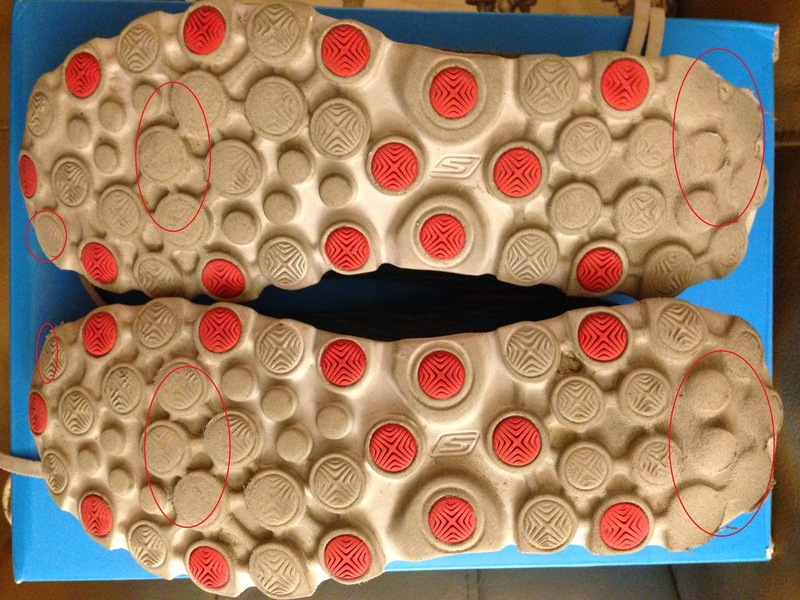 Do you run with a road shoe on trail or do you actually need to go buy a 'trail shoe'? That is even more complicated because 'trail running' can mean running on loam along technical single track, across rivers, boulders or just not on pavement. There is a nice article from competitor magazine entitled, 'Choosing a trail shoe thats right for you' where the authors make a very reasonable argument that if you need support on a road shoe then you need support on a trail shoe. And furthermore, if a manufacturer of your road shoe makes a trail shoe and you decide you need the extra protection from a trail shoe then try their trail shoes. After chasing many shoe manufacturers for two years I think I've finally learned which type of shoe supports my running gait the best. I'm still experimenting with shoe manufacturers and models but its quiet fun trying new shoes out. The reason I will wear 'trail shoes' even on the road is the extra 'outside' protection against rocks/glass and large reinforced toe-box to allow your tootsies the room and protection they need. Yes, the extra protection might cost you a couple of ounces but unless you're sprinting you might not even notice the weight difference. 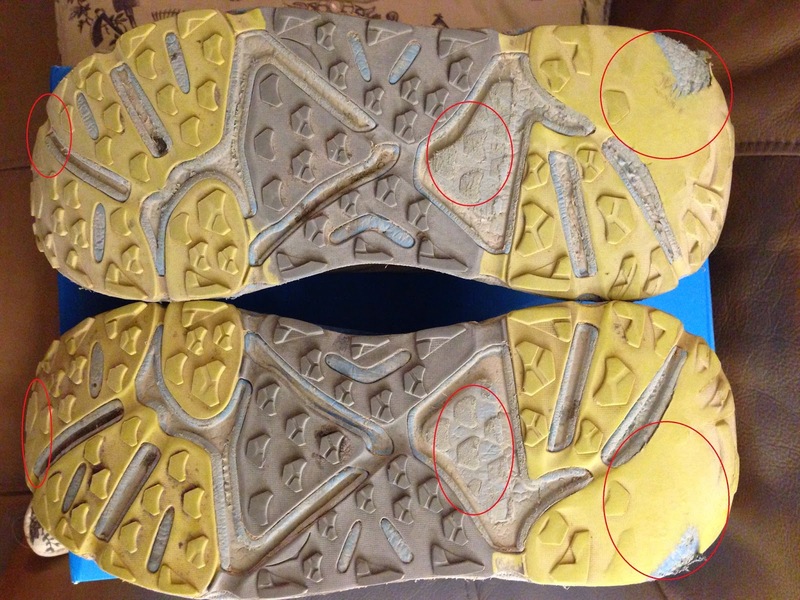 IF you have not seriously examined your running gait and the wear patterns on your running shoes then I strongly encourage you to do so lest you run with with wrong shoes and suffer unnecessary injuries caused by improper support. PS What do you do with your old shoes? I'm a pack-rat and even though I may never wear a particular shoe for running I feel that eventually I can use it for walking, gardening or painting. Yes, I have too many shoes and yes I eventually will reduce down to a reasonable 4-5 pairs of shoes.